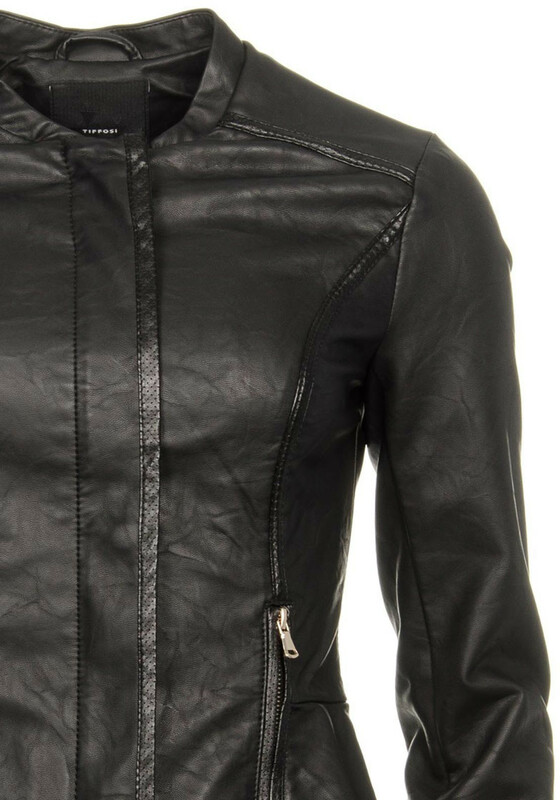 Every girl needs this stunning pleather jacket from Tiffosi in black. 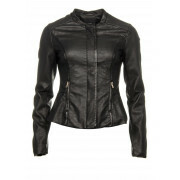 This fabulous piece has a pierced trim, two front pockets and buttoned zip cover front zip. 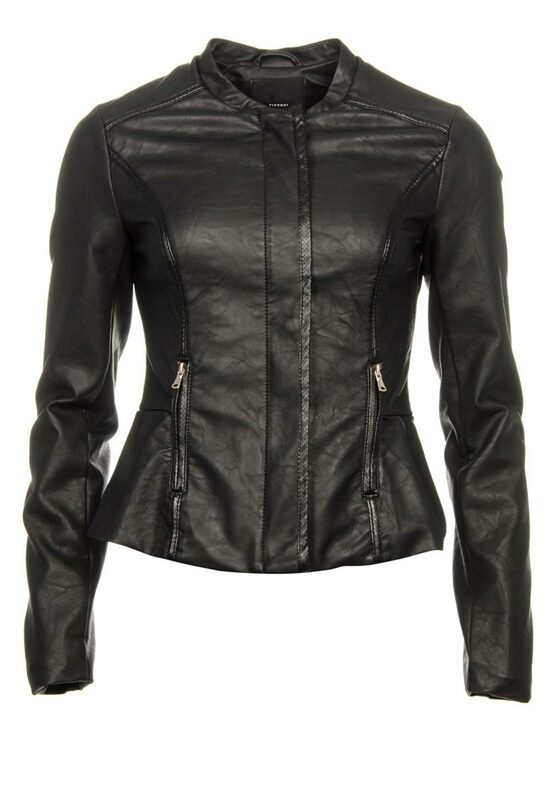 A perfect way to add some attitude to your outfit. Team over a floral dress and heels for a fashionista style.